From our base just a quick drive from Hebburn, Vitaphysical provides osteopathy and massage treatments that ease your body’s aches and pains. Our friendly musculoskeletal practitioners treat chronic everyday problems such as headaches and back pain, soothing aches, restoring function and promoting relaxation. You will find a list of the conditions we work with on our what we treat page, though we’re always happy to discuss your individual issues during a free telephone consultation. Talking through your symptoms helps us to identify which course of treatment will work best for you and allows you to learn more about what you can expect from a visit to the Vitaphysical clinic. After establishing the correct type of treatment for you, we will match you with one of our specialists. Our osteopath Jason works alongside our experienced massage therapists Bronyia, Emma and Kirsty. Our massage therapy offering includes traditional treatments such as deep tissue massage, full body massage and relaxation massage. In addition we provide courses of Thai massage, sports massage to combat injury and physical exertion and pregnancy message to ease discomfort of mums to be. Most of our clients pay their first visit to our centre on the recommendation of a friend or family member. 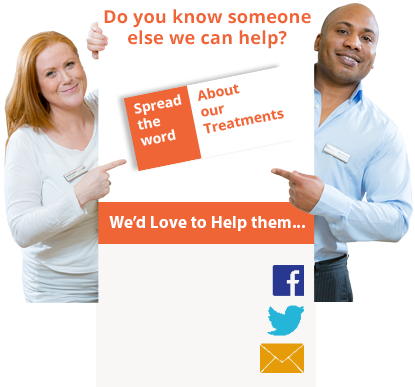 Some have previously visited a chiropractor or physiotherapist or received treatment through the NHS. We’re incredibly proud of the high level of service we deliver to our patients and you’ll find a number of our patient success stories on this site. You can book an appointment with us online using our online booking system or call 0191 565 886. Alternatively, email us at info@vitaphysical.co.uk to discuss your requirements in more detail. Our clinic is just a short journey from Hebburn along the A184 and we provide free patient parking on site. We’re also close to Sunderland train station if you prefer to use public transport to reach us. You can find more details on our location page. We offer a discount on your first visit to the Vitaphysical centre, visit the Vita Physcial discounts page to find out more.